After a long day of hiking, there is nothing better than a hot, tasty meal to curb your appetite, revitalize your body, and get you feeling right again. If you are headed out for several days, throwing everything you need in a backpack, and setting out to explore the wilderness, you need quality food to fuel your adventure. In a perfect world, you would find the time before your adventure to dehydrate your own backpacking food. If this sort of thing interests you, head over to BackpackingChef.com to learn from Chef Glen on how to make your own meals. You can pick up the best food dehydrator on Amazon, buy your ingredients at the grocery store, and have full control over what you eat. If your schedule does not allow it, or you lack the cooking skills needed to prepare and dehydrate your own backpacker meals, then prepackaged freeze dried and dehydrated meals are a great option. 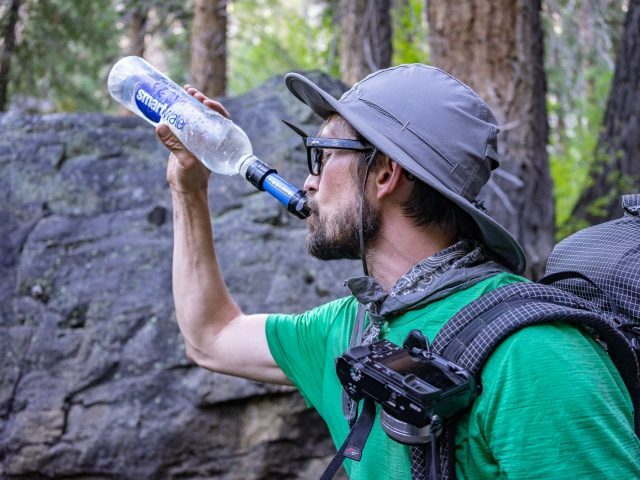 For the majority of backpacking trips I have taken, this has been my approach. Freeze dried and dehydrated meals tend to have a lot of calories and zero water content, so they are a lightweight and compact way to carry food. Freeze dried and dehydrated meals are prepackaged, so you can buy them on the go and save time. Freeze dried and dehydrated meals are fast and easy to prepare on the trail. Just add boiling water, let it sit for twenty minutes, then voila! The food is hot and ready to eat. For more than fifteen years, I have eaten freeze dried and dehydrated meals in the backcountry and trust me, they are not all palatable or satisfying. None of them are as bland and tasteless as the MREs (Meal, Ready-to-Eat) I have tried, however. For the most part, freeze dried and dehydrated meals are lighter and use less bulky packaging also. To help you choose the most delicious, nutritious, and generously portioned freeze dried and dehydrated meals, I put together the following list of the best freeze dried and dehydrated food vendors and the tastiest meals from each one. Let the mouthwatering begin! Good To-Go is the crème de la crème of freeze dried and dehydrated meal companies. It was co-founded by Jennifer Scism, an accomplished chef, and her husband David Koorits after the outdoorsy, Maine-based couple decided to transition away from catering. Their mission is to make healthy, great tasting meals and in my opinion, they have succeeded in a big way. Packit Gourmet is a family owned and operated business based in Austin, Texas that makes flavorful Cook-In-Bag™ meals. Their meals are made with fresh, healthy ingredients and are sure to impress you and your campmates. Mountain House has made quality freeze dried food since the 1960s, when they supplied the U.S. military with meals during the Vietnam War. Today, they offer the largest variety of freeze dried packages, not just for backpacking, but emergency preparedness as well. Backpacker’s Pantry is another old-timer, founded in 1951 to supply the Girl Scouts. The company takes pride in the fact that their meals are sourced with quality, all-natural ingredients. Their meals are priced well, taste good, and never leave you feeling hungry afterward. When I’m gearing up for a backpacking trip, I tend to visit REI to pick up any last minute items needed. A few years ago, Alpine Aire was not widely available on their shelves, but their presence has grown. Nowadays, there is a good chance you will see their meals in the freeze dried section. They don’t cost much, taste good, and have plenty of different options.